Group Semi-Final B of the Euroleague Final Four takes place on Friday the 16th of May with the tip-off taking place at 18:00 CET. 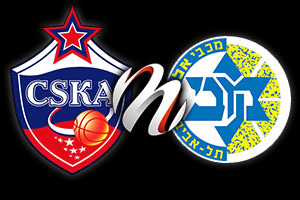 The first semi-final sees CSKA Moscow taking on Maccabi Electra Tel Aviv, with both teams desperate to reach the final. CSKA Moscow’s record for 2013/14 so far is good, without being stellar. The regular season saw the team rack up 7 wins and 3 losses in their 10 games although the team did find top form in the Last 16. Picking up 12 wins out of 14 games is top form but the quarter final was quite a nail-biter in the end for Moscow fans. The team raced into a two game lead over Panathinaikos but then the Greek team levelled it, taking the round to a 5th match. In the end, CSKA recorded a 74-44 victory to book their place in the semi-final. Maccabi Electra Tel Aviv has experienced a shakier route to the semi-final but again, they have dug it out when it matters. The regular season saw them pick up 8 wins and 2 losses but in the last 16, the team’s record stood at 8 wins and 6 losses. Facing tougher opposition posed more of a challenge to the team from Tel Aviv and the quarter final-matches against Emporio Armani Milano were pretty tight. The first game saw Tel Aviv sneak an incredibly tight match by 99-101 in OT before Milan levelled things at 1-1 with a 91-77 score line. However, heading back to Tel Aviv with a 1-1 score from the two Milan encounters provided Maccabi with the confidence to finish the job. Scores of 63-75 and 66-86 was enough to give Tel Aviv a 3-1 victory over Milan in the quarter finals, sending them to the semi-finals where they would face an opponent they know all too well. Both teams were paired together in Group of the Top 16 so there has been some recent history and form guide to look back on in the build-up to the semi-final. CSKA Moscow topped Group F, achieving 12 wins and 2 defeats in their 14 matches. Maccabi Electra Tel Aviv came in third position in Group F, with a record of 8 wins and 6 defeats in their 14 matches. On the 21st of January in Moscow, CSKA triumphed over Maccabi Tel Aviv by a score of 100-65. The scoring by quarters was 26-21, 21-19, 24-12 and 29-13 which means that CSKA managed to win every individual quarter in the match. The top point scorer for CSKA Moscow in the match was Miloš Teodosić, Viktor Khryapa grabbed the most rebounds with 8 and the most assists were tied by Teodosić and Khryapa, who both delivered 8 assists. The top point score, rebounds and assists for Maccabi Electra Tel Aviv in the match was Joe Ingles who picked up 13 points, 6 rebounds and 6 assists. The return match, played in Tel Aviv on the 10th of April was a much closer affair but CSKA Moscow still ran out the winners. The final score was 76-81 to the visitors with the individual quarters coming in at 17-23, 28-19, 18-17, 13-22. This meant that Tel Aviv led going into the final quarter but CSKA Moscow showed their class and managed to grind out a win, which is exactly the sort of thing that saw them top the Group. 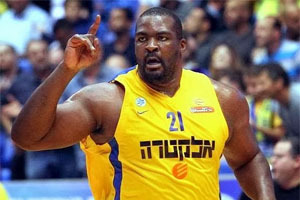 Tyrese Rice picked up the most points and assists for Maccabi Tel Aviv, with 15 and 7 respectively while the most rebounds for the home team was 7, achieved by Sofoklis Schortsanitis. Aaron Jackson scored 18 points for CSKA and picked up 5 rebounds, the same number as Sonny Weems. The top assists scorer for CSKA Moscow in this match was Nenad Krstić with 4. The outcome of these two games will mean that CSKA Moscow will head into their semi-final as the favourite, and no confident of winning through to the final, but the close nature of the game played out in early April means that they shouldn’t be complacent or too sure of victory. With a level of expectation falling on the team from Moscow, it may be that they will not rise to the occasion. With a neutral venue potentially playing its part in the outcome as well, this is a semi-final that may be harder to call than some people are suggesting.